This book is written by internationally-famous biologists, ecologists, soil biologists and environmental scientists and managers who have been engaged in related fields for many years, which is the extension and supplement of the book: Shao HB(ed), Metal Contamination: Sources, Detection and Environmental Impact, NOVA Science Publishers, New York 2012, USA. This book consists of 13 chapters, four of which are review papers covering important aspects in regards to marshes ecology, plant abio-stress physiological and molecular mechanisms for sustainable marshes agriculture, heavy metals pollution status for water ecosystems and management in China, and the rest of which are research papers focusing on various topics, such as nitrogen and phosphorus release in coastal agricultural ecosystems in China; photosynthetic characterization of three dominant plant species in the Salt Marshes of the Yellow River Delta, China; A comparative study of salt resistance between two soybean species associated with osmotic and ionic stresses for cultivating soybean resources; Fluxes of CO2 and CH4 under different types of coastal salt marshes of the Yellow River Delta: Dynamic changes and driving factors across different seasons; A meta-analysis of the bacterial and archaeal diversity in wetland soils for sustainable management and the Alkali marshes of Central-Europe – Ecology, management and nature conservation. This is an excellent book on the processes and environmental factors that influence marsh soil in the ecosystem. The case studies of different ecosystems contribute to a better understanding of the marshes performance and will be useful to those planning to restore contaminated lands. 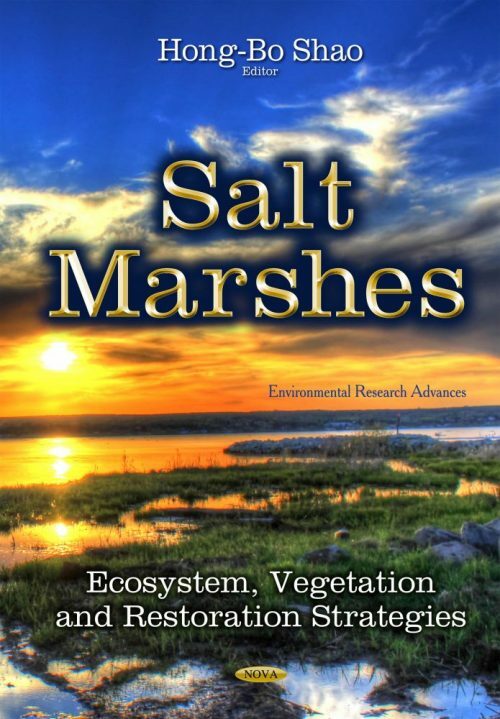 The publication will also serve as a valuable reference textbook to soil biologists, ecologists, agricultural scientists, environmental scientists, managers and students who are interested in marshes environmental sciences and affairs.